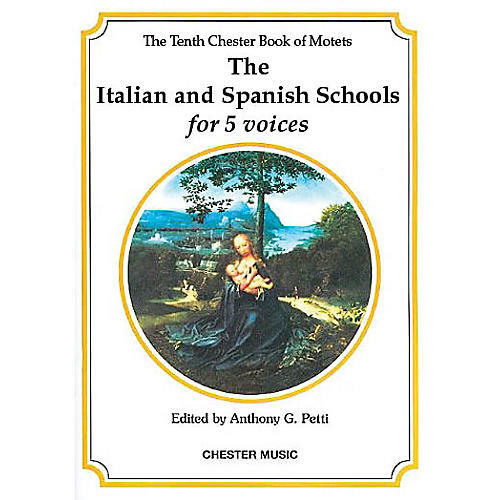 The volumes of this expanding series are devoted to a wide range of sacred renaissance motets with Latin texts, and contain a mixture of well known and unfamiliar pieces, some of which are published for the first time. All appear in editions by Anthony G. Petti. Contents: Adoramus Te Christe (Nanino) · Dominator Coelorum (Festa) · Gaude Virgo Maria (De Victoria) · Gloria Laus (Perez) · Manus Tuae Domine (Morales) · Mirabile Mysterium (Vinci) · O Beata Trinitas (Da Palestrina) · Repleti Sunt Omnes (Esquivel) · Voce Mea (Porta).